Wir frauen kennen unsere Pflicht! 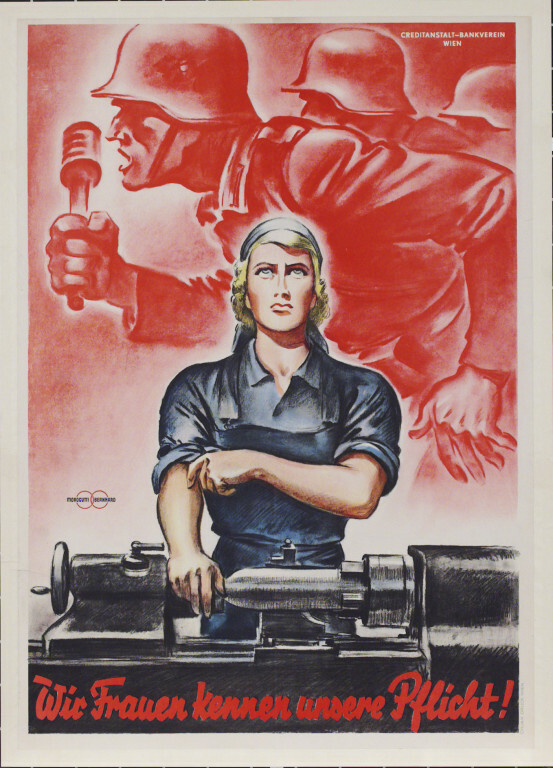 This female factory worker is an embodiment of strength and fierce patriotism. Her duty lies in the factory just as the soldier's does in battle. 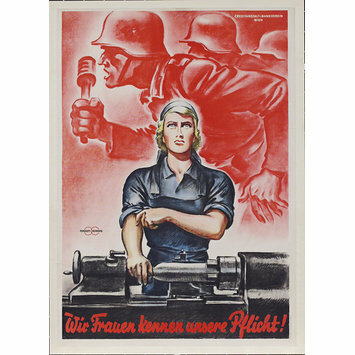 The poster is in contrast to pre-war Nazi images of women whose female duties were depicted as maternal and domestic. 'Wir frauen kennen unsere Pflicht!' [Women we know our duty], Austrian propaganda poster depicting a woman manufacturing arms, with the silhouettes of Nazi soldiers in the background.